When Sir Engel Storm, is misplaced in a different, but similar dimension, he learns firsthand that there's really no place like home. 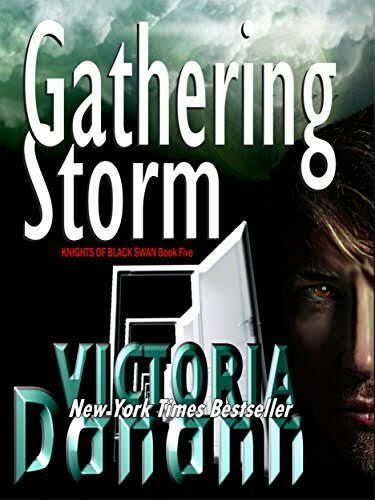 New York Times and USA Today bestselling author, Victoria Danann, brings us a paranormal/scifi fantasy adventure like no other. The demon Deliverance accidentally lost Storm in another dimension, but doesn't know which one. Everyone who can help is called in as a high stakes search is mounted to find him. As part of the search party, Deliverance thought he'd found his illustrious son-in-law, but instead brings home a doppelganger who causes havoc because the only thing he shares in common with Storm is an identical body. When Storm begins acting like somebody else, his friends, the legendary vampire hunters, reunite to try to salvage his reputation before it's shredded beyond repair. Meanwhile, the real Storm has been mistaken for a gambling addict heavily indebted to a loan monster. He'll need his quick wit, his training as a Black Swan knight,and a lot of luck to survive until he can be returned to the world where he belongs.